You may recognise this as the demo I almost finished! The images are embossed with Moonglow Midnight Gold Obsidian two-tone embossing powder which is a gold/black combination. The gold is an antique shade, I like using this powder as you get a good impression with it being black but have the soft gold too. Best of both worlds! 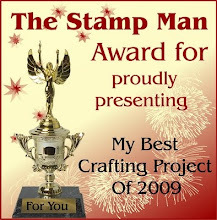 The card is plain at the moment, I may add some embellishment or may just simply add the right wording when it is needed! The shrink ribbon... ie organza ribbon heated with a heat gun to make it curl, it takes on a different texture and appears wired. It wasn't until afterwards that I wondered if they thought I was trying to set fire to it. So, I'd better say, be very careful if you try this at home and if you have a heat gun that throws out a lot of heat, then keep it well above ribbon. Health and safety lecture over:) Just be careful!!! I have scheduled this post and hope it works OK as I am down at Create and Craft filming a live show. 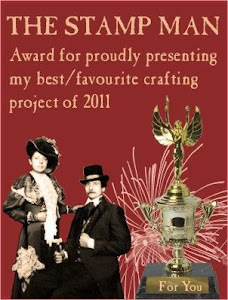 I am filming this show on behalf of Craft Creations, if you enjoy making decoupage cards and would like any of the products they will also be available from them at http://www.craftcreations.com/. Although it is something completely different for me, I've actually really enjoyed making all the sample cards for the show. I am on at noon on Sky 671 or Freeview 36 if you are able to watch the show. It should be repeated a couple of times and I will post details of the repeats as soon as I know them, so I'll probably post again later when I get home. 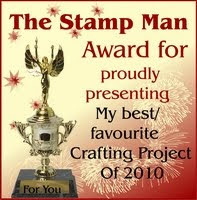 Fab project Jill and Hurrah Im hope to watch your programme! Beautiful work Jill, not feeling good toay so am going to get your VD out again to remind me of your techniques then when I'm feeling a bit better I'm going to have a go. It's a wonderful box! Don't worry - you got the message over about heating the ribbon fine. I will be trying it, but with my least powerful heat gun!